ASPIRING Zifa president Felton Kamambo, who is challenging incumbent Philip Chiyangwa for the post, was yesterday picked up by the police on allegations of threatening violence on the association's general secretary Joseph Mamutse, last month. Kamambo spent about at hour at Highlands Police Station and was later released after signing a warned and cautioned statement. He was charged under Section 186 of the Criminal Law (Codification and Reform) Act. The former Zifa executive committee member is alleged to have threatened violence on Mamutse and the case was first reported on November 6. He is set to appear in court on Tuesday to answer the charges. After his release, Kamambo said he was confident of winning the election tomorrow, adding his arrest was part of dirty tricks being employed by the Chiyangwa camp to stop him from contesting tomorrow's polls. "I was surprised when I was invited to the police station. I didn't know what I had done, but I was told of the charge and I will be appearing in court next week," he said. "I am looking forward to the elections and I will trounce Chiyangwa." Three Fifa observers arrived in Harare yesterday, while a Caf representative is set to come in today to observe the hotly contested polls. Kamambo and Chiyangwa are the only candidates vying for the top post, while Zifa deputy president Omega Sibanda and former Southern Region chairperson Gift Banda will tussle for the vice-president's post. 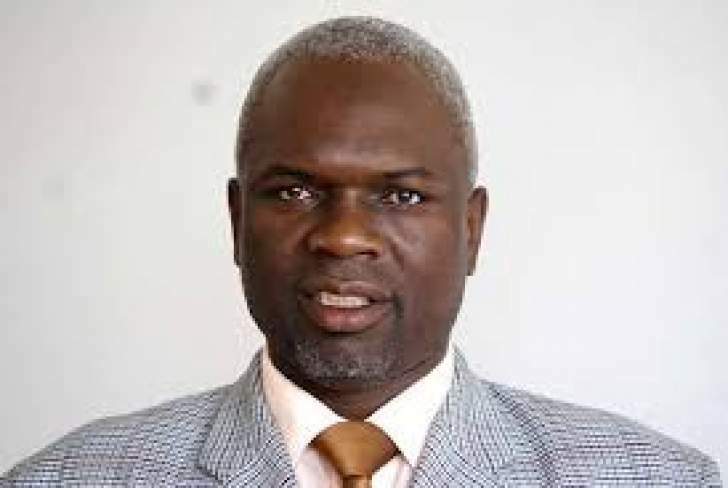 For the other four slots for ordinary executive committee posts, the tussle involves Sugar Chagonda, Mlungisi Moyo, Chamu Chiwanza, Stanley Chapeta, Philemon Machana and Brighton Malandule. However, focus will be mainly on the contest between Kamambo and Chiyangwa – two of the game's figures who have been wrestling since the former resigned in March arguing the mandate of the then Zifa board had expired. Chiyangwa unsuccessfully tried to bar Kamambo from contesting on the grounds that he was serving a suspension – an allegation dismissed by world soccer governing body Fifa, who ordered that the former Zifa board member be allowed to contest. Speaking to Newsday Sport yesterday, Kamambo said he had the backing of football stakeholders and would trounce Chiyangwa. He predicted a 40-20 victory against the Harare businessman, whose reign as Zifa boss has been characterised by a lot of hostility among football stakeholders. That hostility has continued to alienate Zimbabwean football from the corporate world. Kamambo said he has done his home work and expressed confidence he would defeat Chiyangwa in tomorrow's elections. "Generally, football stakeholders are not happy with the way the Zifa leadership has been managing the game. They are disillusioned and want a change in the way the game is being run. There are a lot of clashes of conflict in our game and that does not augur well for the development of football. Football should be run as a business and the environment in our football is toxic and not conducive for the smooth flow of business. I have got the support of football stakeholders and I am confident of a comprehensive victory against Chiyangwa – a 40-20 victory," he said. Kamambo pledged a more efficient, richer, transparent and successful administration if he wins the mandate to lead the football federation. The former Mhangura player worked under Chiyangwa's stewardship in the board from 2015 until February this year before he quit the executive committee, arguing that the Zifa board's term of office had lapsed. Kamambo, in his election manifesto, also promised the football public to include the re-establishment of the FA Cup, the introduction of the Zifa awards, channelling more funds to football development as well as construction of a building to house the association's offices. Under his administration, Kamambo wants to see Zifa open up more revenue streams so that it efficiently finances all its activities. He wants to see Zifa owning, among other things, mines and farms other than relying on Fifa and Caf cash handouts.